Alright…enough of my rambling…let’s get to the good stuff. I thought this past weekend was the perfect time to rock one of my favorite tees. 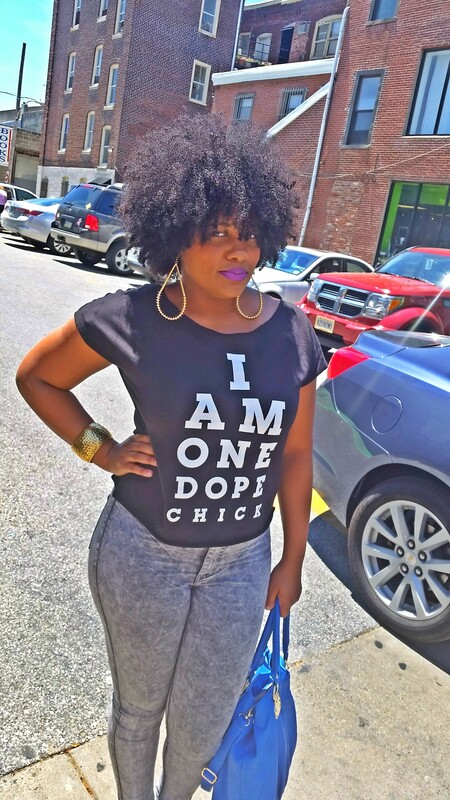 I ran across Haus of Swag , an online boutique, while on Instagram and fell in love with their street chic tees. I also loved the vision behind the brand. Our tees have got something to say, and our message is clear, ‘Sisters are doing it for themselves and we are on top of our game’. Yes, yes and yes! I absolutely love seeing my fellow sisters encouraging each other to strive for nothing short of greatness, and maintain your confidence, style, individuality and “dopeness” while doing so. I couldn’t help but support this brand and purchase a couple of tees. 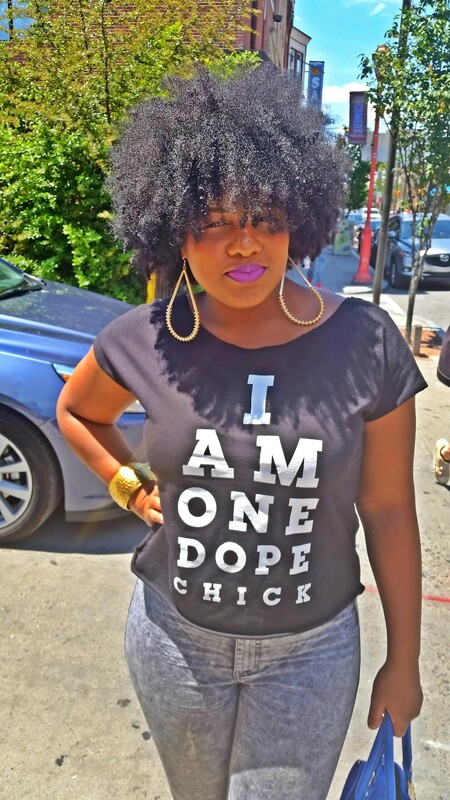 The “I Am One Dope Chick” tee is my absolute favorite tee…and let’s just be honest…it’s so fitting :-). 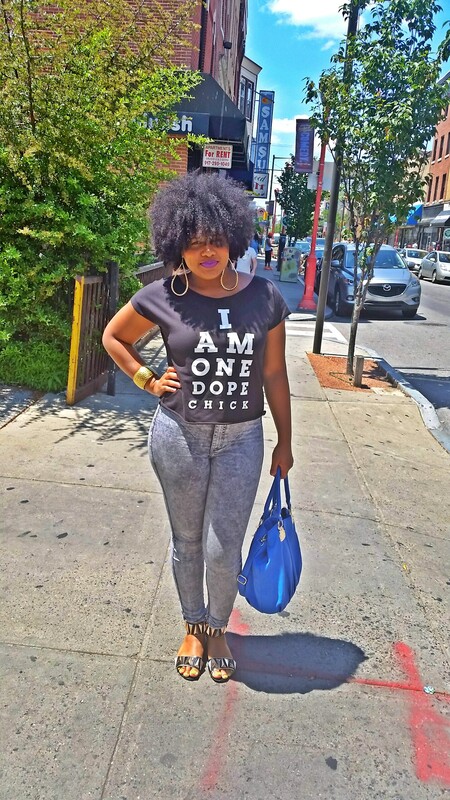 This particular tee is a good quality, loose-fitting, off-shoulder style that comes in an array of colors to suit your taste.